Description:Aitken Street is a short street off Ellgreave Street in the Dalehall area of Middleport. 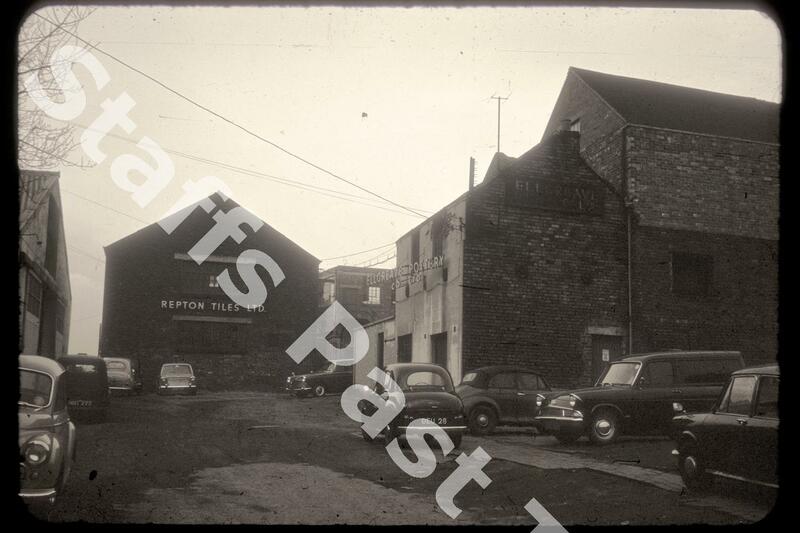 There are two ceramics related factories in the photograph: Repton Tiles and Ellgreave Pottery (on the right). Repton Tiles Ltd. were manufacturers of glazed and floor tiles. The building still stands but no longer used for manufacturing ceramics. The Ellgreave Pottery stands on the old Dalehall Brick & Tile Works site. The factory dates from the 1920s and was part of Wood & Sons. The company produced jugs, teapots, "fancies", comic animals and tiles. At one time Charlotte Rhead was a designer for Ellgreave Pottery. Again, the building survives, but with a different use.